You could start matched betting with no long term plan what-so-ever, completing every signup and reload offer insight, the result being all the fun will all be over in a few months. Yeah, you will have a few grand in your pocket but don’t you want at least £500+ a month for the rest of your life, just for messing about on a few websites an hour a day? Thought so, I do too. And I will! You need to know how to mug bet like a professional matched better. This is where you will find out how the pro´s do it. Once you have the hang of matched betting and have completed all of the sign up offers available you will be relying solely on reload offers to keep the money coming in, to be honest reloads are where the real money is. This is when you need to ensure that your accounts are kept in good condition. The only way that you can achieve this is with mug bets. Mug betting takes its name from the idea that Jo Bloggs down the road is a silly mug punter and wastes his hard earned cash betting on his favorite football team. Remember, you can not beat the bookie long term unless you’re matched betting. Bookies don’t like people matched betting, if they suspect that’s what you’re doing they will limit your account so that you aren’t eligible for free bets or bonuses, this means game over for someone trying to matched bet long term. If all of your bookie accounts are limited you can wave goodbye to easy risk free cash, so you need to look after them well. This is deadly serious stuff but don’t let it to scare you off if you are just starting out. You don’t need to mug anything until you have hammered all the sign up offers and netted yourself an easy £2k. You should know about ALL the below awesome mugging techniques anyway. Once you start matched betting you instantly net the easiest pay rise you will ever get, this post contains all you need to know so you can keep bashing the bookie month after month, year after year like a true matched betting professional…. Simply back and lay an event that has no associated promotion. E.g a horse or a popular football team. Like your qualifying bets you can find things to bet on with the odds finder and again you want to be backing and laying at close odds, that way you aren’t risking your cash. Idea is that when your account is reviewed (and it will be) it looks normal. Yeah, go after free bets until the cows come home but you also need to bet ‘normally’ too. If all your betting history is full of bets associated with promotions you can wave goodbye to that account. Bye bye risk free money. You should start mug betting after you have completed all the signup offers and are ready to start reload offers with that bookie. You should do every signup offer first, one by one, afterwards, start the mugging and reload offers. Whether you’re into sport or not you need to pick a few favorite teams and athletes across the sports you bet on most. e.g with regards to football you really need to pick a popular UK based football team that you can ‘support’. When your team plays you should bet on them to win no matter who they are playing, like a normal football fan would. 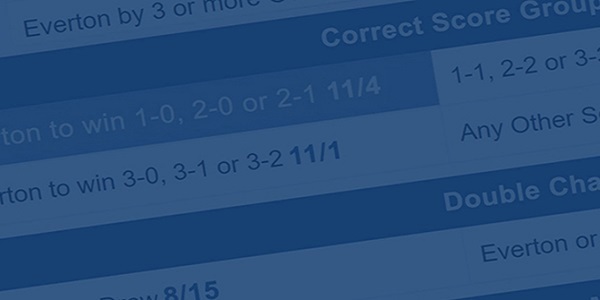 Back and lay your favourite team as much as possible with all the bookies you use the most. Choosing a strong team is advantageous because you generally get closer back/lay odds with favourites which means fewer qualifying losses. So, that being said, if you’re not a football/sports fan already, look for a team to mug support, go with one of the top 3 teams as you’re going to get better odds when mugging. One issue with this is that you shouldn’t ALWAYS go for the win draw win market when the odds are so low that it’s almost pointless betting due to the low potential profit. Go for something with slightly higher odds like a correct score market if the win is at something daft like 1.2.The reason for this is people bet to try and make money, so if their team is playing, mug punters are likely to have a punt but they are more likely choose a market that will actually give a decent return. You don’t need to do this every time but be aware of it as a factor a bookie may look for when reviewing your account. Mugging is all about looking normal. For every free bet credited by William Hill, you should mug William Hill three times. This will keep your account looking really super healthy. This is a golden rule but it is hard to keep, if you do the horse refunds on a Sunday and end up with 5 free bets at William Hill you should mug William Hill asap. People who win or are given a few free bets like to think “oh I’ve won some cash or free bets here, I’m on a streak, I’ll have a go on a few more horses.”, So a wack a few mugs on for sure if you have a good day on the horse refunds. If you don’t know what horse refunds are then let me tell you they are awesome and in my opinion real fun. Full training on that over at Profit Accumulator, it’s the best place for meeting thousands of matched bettors who are all helping each other make loads of cash! Great community vibe over there. Worth a look for sure. Bookies love it when you throw money away. Accas are a sure fire way to do that. Place 50p or £1 on a 5 or even 6 fold accumulator, you should place the acca on whatever sport you are mugging, for example if you smashed a load of footie refunds that week during the Champions League you should place an acca on football results or perhaps a tennis acca is what you need after the French Open, do the same on horses too etc. You can lay accas to make them risk free, hell you can even get a tone of free bets out of them, but that is another story (Training on that over at Profit Accumulator on that) but for £50p or £1 it’s not worth the time and effort to lay. Consider putting the odd acca on, and when I say odd, I mean every few weeks, depending on how active you have been etc, you will get a feel for it over time. Don’t place too many as you you are likely to lose the cash, consider each acca an investment, a thank you to the bookie for helping you earn a tax free bonus every month, it’s a way to keep your accounts OPEN and looking as normal as possible for as long as possible. Remember you’re in this for the long run and not the quick buck! Consider you’re betting lots of £25 stakes on football matches because of a the below reload promotion. This is a classic type of reload offer you will see. You can bet any amount and if something happens, in this case if there is a red card you will be given as a free that matches your initial stake up to a maximum of £25. You could bet £30, £35, £40, £50 – but your max refund will only ever be £25. Same goes the other way if you bet £10 your refund would be £10. This means most people employing matched betting techniques will place lots of £25 bets on football in the hope there is a red card thus netting them a sweet £25 free bet. You’re loving it because there is lots of football on Saturdays. You can back and lay 6 matches. Each with a £25 stake and if there are any red cards you will get a £25 refund. Having had £50 worth of free bets credited because there were two matches with red cards you decide to place a few mug bets to keep your accounts in shape. You place 5 mug bets on football but you use £10 stakes, you think i’ll bet £10 as there will be less qualifying loss to me, with no chance of a free bet its best to keep costs down. This could be flagged up on your account for using £10 rather than £25 stakes bets. The take away point here is your mug bets should be of similar stakes to your qualifying bet stakes. A few lower isn’t the end of the world, but try keep a constant pattern going. The way to operate under the radar is to bet over the maximum refund amount for such offers. Returning to the offer described above you should bet £25 a few times for sure, but also over and under the refund amount, stake £30 a few times, may be on your fav team, vary it from time. Going the other way you should also not go for the maximum refund and stake £15. Then mug at similar values. Don’t just bet high stakes when there is a free bet to be had! The bookies are constantly trying to get into the minds of matched bettors, so they think about how we would think and act just like we try to think how a mug punter acts. Consider this scenario, which can and does catch people out. This is pretty deep advanced mugging and it really is something you shouldn’t be worried about but if you can be bothered to employ this technique, it will help you look normal. I seldom bet on rugby or tennis. However if I see that on my sporting event calendar (Yes, you need to know about major events happening to be organised) that Wimbledon or the Rugby World Cup is just a few months away you can guarantee that there will be a wave of promotions for us to smash! So, a few months before I will mug on tennis and rugby matches that are going on around the world, I bet on the top tennis players who are relevant to me, i.e Andy Murray. I bet on some of Englands rugby friendlies as they prepare for the world cup. I show an interest in the sport I’m planning to hammer when the promotions wave comes. The key is for you to not be seen as someone who follows promotions around the sporting events. Thousands of punters place bets on their smartphone as well as a laptop, so be like them! Place a few mug bets on your mobile. This is easy to do as you can have the bookmaker app or website on your phone and use your laptop for the betting exchange. For extra bonus security, I would suggest that you turn Wi-Fi off on your phone before you do this.